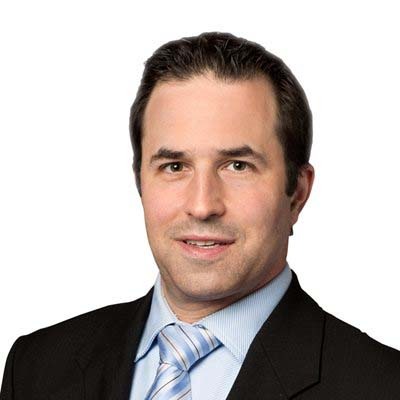 Michael Garellek is a lawyer with specialized expertise in financial regulation and compliance concerning financial institutions and the products and services they offer in Canada. He can guide you on regulatory issues facing the financial services industry including firms and their representatives. Based in Gowling WLG's Montréal office, Michael will expertly advise you on a multitude of legal issues, including those relating to insurance, banking, AML/FT, privacy, securities and derivatives, to name a few. In the area of insurance, Michael can assist you in the application of the law and regulations in Québec and in dealing with regulators, namely the Autorité des marchés financiers (AMF) and the Office of the Superintendent of Financial Institutions. Michael similarly advises banking clients and their service providers. Whether as a new entrant, opening a branch or seeking an exemption, Michael will help you make the required application to regulatory authorities. In the area of litigation, Michael represents clients subject to examination, investigation and sometimes prosecution by the AMF, the Investment Industry Regulatory Organization of Canada (IIROC) and other regulatory authorities. As a member of Gowling WLG's Business Law Group, his transactional and advisory work has covered many deal types both public and private, including transactions on carbon markets. He can also assist you meet the requirements of the regulations concerning authorization for public contracting and the greenhouse gas cap-and-trade system. When not acting for clients, Michael lectures students at the University of Montréal on corporate and securities litigation and in preparing for case competitions. He is a co-author of the Jurisclasseur en valeurs mobilières, a leading publication on securities in Québec. Michael is a chartered professional accountant and, before joining Gowling WLG, he was an inspector with the AMF and an auditor with the Office of the Auditor General of Canada. He was active on committees involved with the harmonization of securities regulation in Canada. Assisted a securities dealer in its settlement with IIROC for its involvement in the Earl Jones affair. Assisted Canadian insurers understand regulatory requirements and limitations under an Act respecting the distribution of financial products and services. Represented and advised registered representatives in insurance and securities in disciplinary cases and investigations before the Chambre de la sécurité financière, l’Organisme canadien de réglementation du commerce des valeurs mobilières and the AMF. Advised both real estate brokers and mortgage brokers on the rules relating to commission splitting. Advised and provided recommendations to a large Québec financial institution on the design of its compensation framework. Prepared referral arrangements agreements for different participants in the financial services industry. Provide regulatory advice in the course of M&A transactions relating to the financial services industry. Advise financial institution clients that are migrating the service offering on-line and applying new technologies such as blockchain.